Jurnal SPORTIF : Jurnal Penelitian Pembelajaran is a national scientific journals are open to seeking innovation, creativity and novelty. Jurnal SPORTIF is a peer review journal published by Departement of Physical Education Health and Recreation, The University of Nusantara PGRI Kediri. The aim of the Journal is to facilitate scientific publication of the results of researches in Indonesia and participate to boost the quality and quantity of research for academics and researchers. Journal of SPORTIF is published every May and November by publishing research results and critical analysis studies in the field of Sport Education, Sports Coaching, Sport Tourism, and Traditional Sports. This journal was indexed in DOAJ, SINTA, Indonesian Scientific Journal Database (ISJD), Indonesia Publication Index (IPI), Google Scholar and BASE. Jurnal SPORTIF : Jurnal Penelitian Pembelajaran editorial board invites you to submit your manuscript to be published in this journal. The example of writing format article is Click Here. The manuscript text tought to be written as this article template. The article is written on A4-size paper (210x297 mm), with custom margins as follows: left 40 mm, right 30 mm, bottom 30 mm and top 30 mm, Arial theme font, 12pt font size, and 1.5 lin-spacing. The manuscript is typed using Microsoft Word program on A4 paper, around 3,000-5,000 words including figures, tables and references. The manuscript does not contain any plagiarism element. The editorial board will directly reject the text that indicates plagiarism. 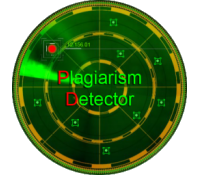 We use plagiarism software to check your manuscript. The title of the manuscript: The title should be informative and be written both briefly and clearly. It cannot diverse multi interpretations. It has to be pinpoint with the issues that will be discussed. The beginning word is written in capital case and symmetrically. The article title does not contain any uncommon abbreviation. The main ideas should be written first and followed then by its explanations. The article title should be written within twenty words, 12pt-sized font, with the bold selection and in the center text format. Abstract: The abstract has to be written within 200 words maximum and followed by with three to five keywords and arranged alphabetically. Abstract must contain reseach objectives, methods, result, conclusion and limitation (optional). Abstract written in 1 space line and 11 font size Times New Roman. References: All the references that used in the article must be listed in this part. In this part, all the used references must be taken from primary sources (scientific journals and the least number is 70% from all the references) that published in the last ten years. Each article should has at least ten references and cite Jurnal SPORTIF articles, at least 3 articles. All the served data or quotes in the article taken from the other author articles should attach the reference sources. The references should use a reference application management such as Mendeley, End Note, or Zotero. The writing format that used in Jurnal SPORTIF : Jurnal Penelitian Pembelajaran follows the format applied by APA 6th Edition (American Psychological Association). The document should submitted by Online Submission System in the Jurnal SPORTIF : Jurnal Penelitian Pembelajaran E-journal portal. In the “Start” column, choose Journal Section (nearby Volume and Issue will publish), check all the checklists. In the “Enter Metadata” columns, fill in with all the author data and affiliation. Including the Journal Title, Abstract, Keywords, and References.